Run every week on Friday morning at Rossiter Park in Aitkenvale, this fun run-ride-paddle session suits most fitness levels and is a great way to challenge yourself and add a new dimension to your training. If you are a little adventurous and determined this class will suit you. 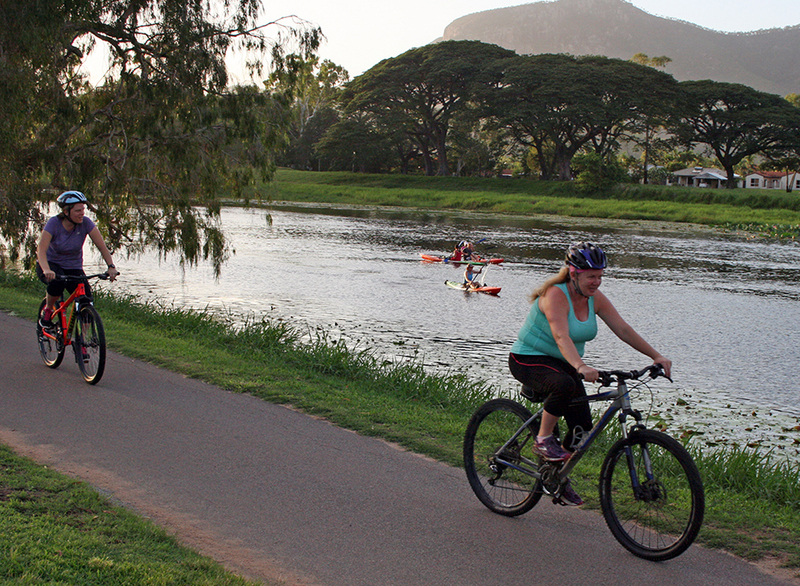 It’s a fitness session, not a skills session, so it helps to have a good idea of how to bike or kayak first (or have a one-on-one session to learn). A kayak and mountain bike are provided. If you are new to the team, or just trying a session out to see how you like it, be sure to contact Sam either by phone 0421 484 211 or Facebook to ensure you have the latest information.